Though Apple’s iPhone X is going to be the crown jewel of the company, it has other surprises up its sleeve in the form of iPhone 8 and iPhone 8 Plus. They might be labeled as devices with iterative updates, but they are so much more on the inside, and you’ll soon find out. According to Apple, there is a deeper strengthening layer in the glass, with the company claiming it to be ‘the most durable in a smartphone’. 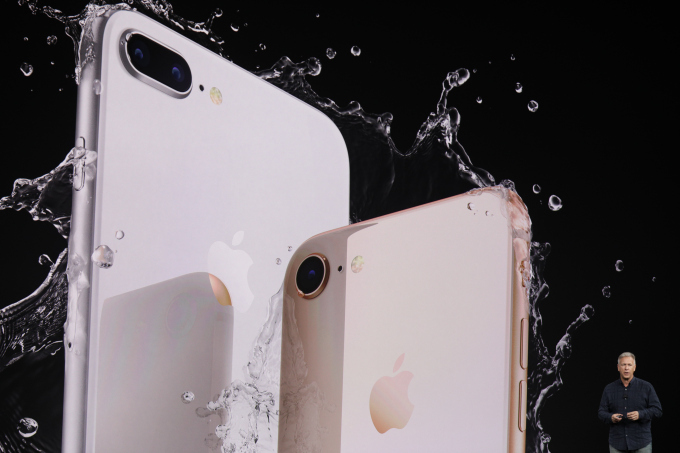 Just like its predecessors, the iPhone 8 and iPhone 8 Plus are sealed for water and dust resistance. Plus, the iPhone 8 now features 25 percent louder speakers than the iPhone 7. Apple has included a glass and aluminum design, we should have been done otherwise these devices might not have provided support for wireless charging, as you’ll soon see. In comes the all new A11 Bionic chipset. Apple states that the new chip features 4.3 billion transistors, and gets its performance courtesy of a 6-core processor. Out of the 6-cores, two of them will be focused on performance while the remaining four will be targeting efficiency. Apple states that the SoC’s performance cores are 25 percent faster than A10 Fusion, while the efficiency cores are 70 percent faster. It also sports a GPU that is 30 percent faster than the previous generation. 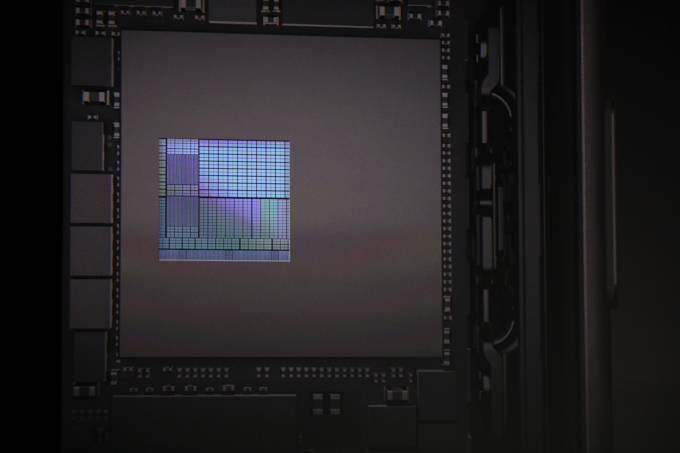 The A11 Bionic chip is also optimized for augmented reality and thanks to improved compute and graphical performance, it will be able to render such content quite easily. 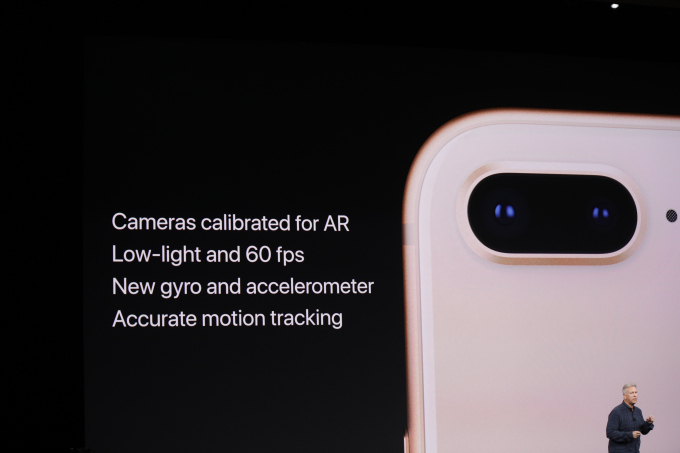 Both phones feature a 12MP sensor, with the iPhone 8 Plus getting a 12MP shooter on both camera lenses. Thanks to the new Apple designed ISP, the camera sensors boast faster low light autofocus, a better pixel processor, and for the first time ever, hardware multi-band noise reduction. In case you’re wondering, both the iPhone 8 and 8 Plus feature all new sensors for an ‘all new and improved’ photography and videography sessions through your smartphones. The primary camera will have an aperture of F/1.8 while the telephoto lens on the iPhone 8 Plus has an aperture of F/2.8. 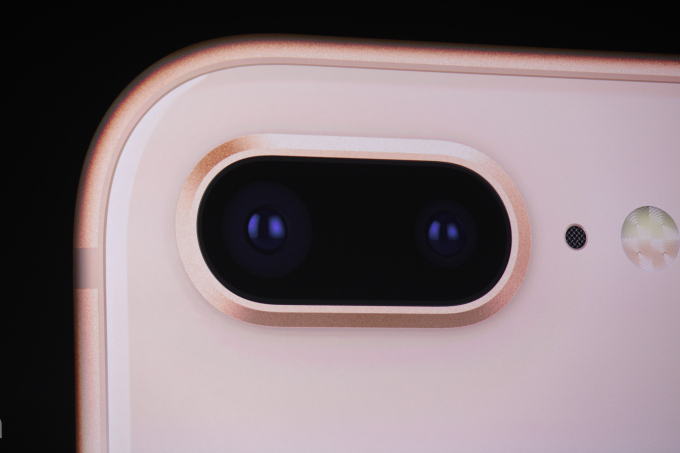 According to Apple, the new camera lens is able to take in more light than the iPhone 7 Plus, resulting in higher quality images. The new and improved Portrait mode now uses a depth mode to select different kinds of lighting effects. This will range from Contour, Studio, and other elements. There is also real time analysis of the light on people’s faces. Another perk of the optics is that stage lighting includes dropping the background out completely to black. The cameras have also been calibrated for augmented reality. 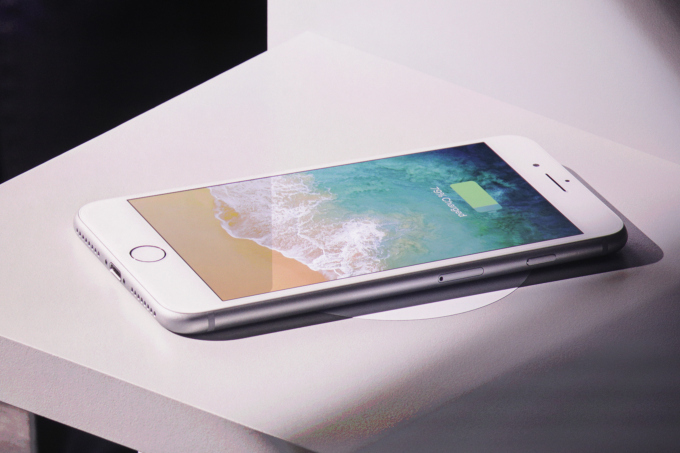 Wireless charging is finally a part of the iPhone family as the iPhone 8 and iPhone 8 Plus become the first devices to provide support for such a feature. Additionally, LTE Advanced and fast-charging are also a part of these two phones. 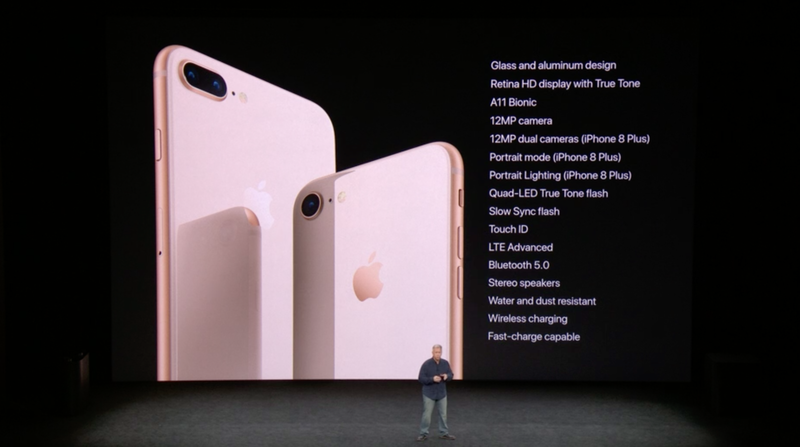 For the first time, both the iPhone 8 and iPhone 8 Plus also have a Bluetooth 5.0 chip, which is sure to make the pairing process a lot simpler.